Home > Latest News > News > Conservation District Annual Dinner Celebrates our Water Resources! The Pike County Conservation District Board and Staff celebrated the water resources of Pike County with over 60 partners and friends on November 14, 2014. Highlights of the evening included an overview presentation on Pike County’s Water Resource Program by PCCD’s Watershed Specialist Vinny Cordova and Administrative Manager Michele Ulmer and a Silent Auction for a beautifully painted rain barrel. The evening’s program focused on the results of a recent groundwater study completed by the United States Geological Survey (USGS) and the Pike County Conservation District. The focus of the study was on developing baseline data for the counties drinking water prior to any potential unconventional natural gas drilling. This is a crucial step in protecting our drinking water resource in the event of contamination. The rest of the program highlighted the many other ways we keep close tabs on the quality and quantity of the counties drinking water and streams. Along with the educational events the District participates in throughout the year. 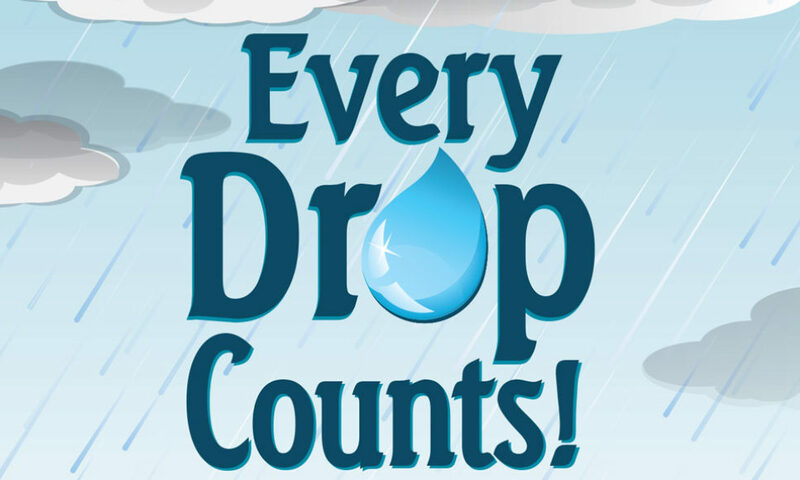 Michele Ulmer highlighted Every Drop Counts! Use a Rain Barrel Project which the District coordinated with the Pike/Wayne Conservation Partnership. This Rain Barrel Project recently received the Northeast Pennsylvania Environmental Partnership Award at a ceremony held October 30, 2014 at the Woodlands in Wilkes-Barre, PA. The Every Drop Counts! Project included 20 organizations involved in the Pike/Wayne Conservation Partnership, as well as four School Districts, twelve local businesses in Pike and Wayne counties, and the Downtown Hawley Partnership. While the project started out as a simple partnership effort, it blossomed into a tremendous educational outreach opportunity which expanded to include the entire community. The project partners educated the community on the importance of water conservation and stormwater management with the use of beautifully designed and painted rain barrels. For more information on the project visit https://pikeconservation.org/EveryDropCounts.htm. The Silent Auction was the highlight of the evening with the rain barrel designed and painted by PCCD’s Administrative Assistant Christina Spizuoco and a second rain barrel bringing in $325 toward the environmental education program of the District. A special thanks to Cathe Marrow and Gloria and Peter Talman. Photo above from the Northeast Pennsylvania Environmental Partnership Awards Dinner in October. From the left is Janet Warnick, Northeast Regional Manager Office of Pollution Prevention and Energy Assistance – Pennsylvania Department of Environmental Protection, Jamie Knecht, Watershed Specialist Wayne Conservation District, Michele Ulmer Administrative Manager PCCD, and Diane Madl, Environmental Education Specialist Supervisor – PA DCNR.